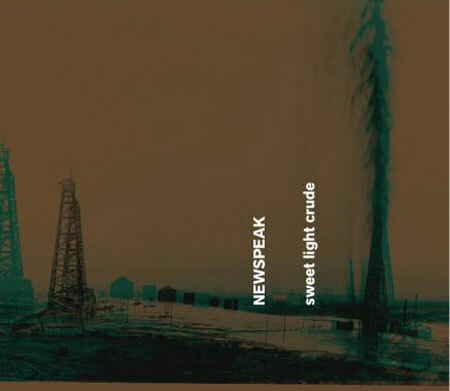 Just like Jed Clampett on The Beverly Hillbillies, Newspeak strikes oil with Sweet Light Crude, a dark, chocolately album that could easily keep a whole nation full of chamber rock lovers well lubricated for a whole year–or at least until the Earth’s mantle is sucked dry. This short but sweet spout spews forth six spurts of liquid (solid) gold from six different composers. Oscar Bettison’s “B&E (With Aggravated Assault)” starts it off with a bang and attacks the listener with a round of lurching, dissonant chamber rock full of radical tempo changes that turns on a collectible penny. Stefan Weisman’s “I Would Prefer Not To” tacks a semi-lyrical, screeching ballad of mysterious understatement onto a tale of disobedience and protest. David T. Little’s “Sweet Light Crude” is a floating, melodic love song dedicated to petroleum, a substance we all take for granted, but can’t live without. Occasionally odd instrumental peels fly off this tasty banana. 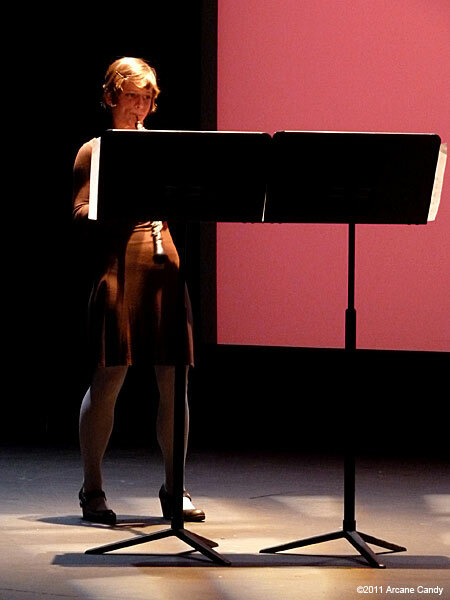 Victoire is a chamber rock ensemble founded way back in 2008 by New York composer Missy Mazzoli. Possibly named after a small, dusty town in a Southern California desert, Cathedral City fills a huge, vaulted ceiling full of lilting, melodic chamber pop with tools like keyboards, melodica, toys, violin, keyboards, clarinet, double bass and electric bass. Ingredients sprinkled into this delicious sonic holy water include answering machine voices and electronic hiss, hovering and sawing violin, skittering percussion over mellow melodies, angelic singing, cut-up vocals, woozy melodies, keyboard pulsations, synth drones with violin outbursts, a furiously strummed reverb guitar climax, clicking rhythms, floaty melodies, simple repetitive singing, corroded skitters layered with a mechanical voice and lots more than you could shake a Bible at. Of particular note is track two, “I Am Coming For My Things,” a seriously beautiful floater which brandishes a bunch of billowing, buoyant minimalism. At the 1:35 mark, it completely explodes and soars upward into puffy white clouds surrounded by a soft, magenta sky–only to encounter a bit of threatening turbulence before gently gliding back to Earth. 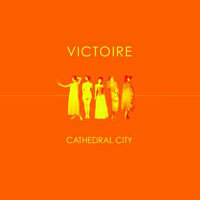 Victoire scores a victory in Cathedral City! 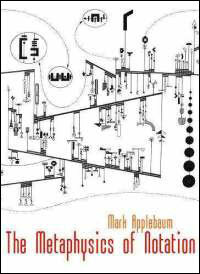 I am not going to begin this review with the sentence, “I am not going to begin this review with the sentence.” Oops, I just did–twice. I am not even going to tell you who Janus is. Just kidding. Janus was a “Roman god of gates, doors, doorways, beginnings, endings and time, whose double-faced image peers into the past and future,” and who was recently reincarnated as a new music power (outage) trio consisting of Amanda Baker on flute, percussion and vocals; Beth Meyers on viola, banjo, percussion, and vocals; and Nuiko Wadden on harp and percussion. 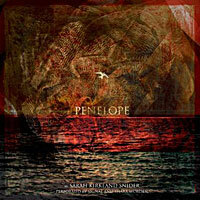 I am not sure if they formed in 2002 to foster new works for the flute, harp and viola trio, but that’s what a large, flightless, carnivorous bird of prehistory called Phororhacos just chirped into my ear. 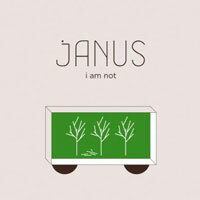 I am not going to try to describe Janus’ debut album, I Am Not, because it’s so indescribable, I am not able to. Just kidding. “i” kicks it all off with Nuiko a-pickin’ and a-grinnin’ on a melodic harp line while Amanda attacks her flute with a round of heavy breathing and the girls all take turns speaking variations on a theme of the album title, such as, “I am not bored,” “I am not stupid,” “I am not old,” “I am not short,” and “I am not nice.” I am not sure what it all means, but it doesn’t matter, because I am not a stickler for finding meaning in every little thing. You are currently browsing the Arcane Candy weblog archives for February, 2011.